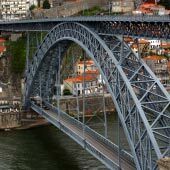 The Linha 1 tram screeches and rattles along the northern banks of the Douro River from the Ribeira district of Porto to the Foz district. 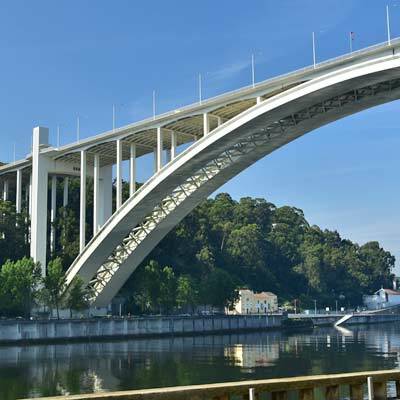 This delightful tram route trundles through traditional sections of the city, passes beneath the modern Ponte da Arrábida bridge and remains in constant sight of the river. Along with the wonderful route, the trams are quaint and characterful, originally dating from the 1930s. 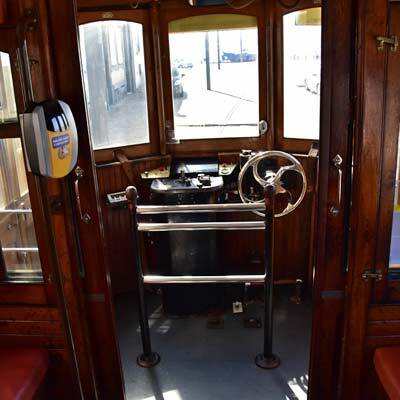 The antique trams retain many of their original features, from the polished wooden interiors, brass controls and even the clanging bell to stop the tram. 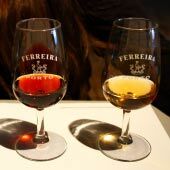 This article will detail the sights and attractions along the Linha 1 tram route along with fares and links to timetables. The line 1 tram route can get very busy during the peak season and it is advisable to travel early or later in the day to avoid the crowds. The main appeal of the Linha 1 tram is the ride itself, if you find yourself at the end of a long queue consider boarding the next tram, as the experience is little enjoyment if you end up standing. The entire Linha 1 is shadowed by the 500 bus service (Praça da Liberdade to Matosinhos), if the queues are too long consider taking the bus instead, which is also cheaper (€1.95 for a single). 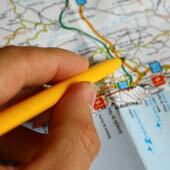 The following section details the sights and attractions at each of the stop along the tram line. 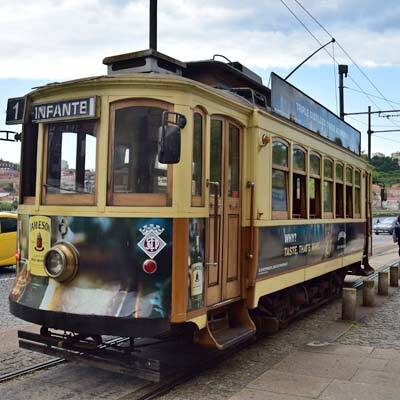 The Linha 1 tram departs from the Infante tram stop (GPS: 41.14050, -8.615926). 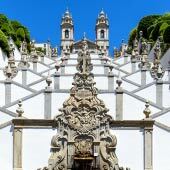 This is at the base of the Gothic Igreja de Sao Francisco, and is on the edge of the Ribeira district. As this is the start of the tram line, it is the location where most passengers board the tram. The majority of passengers ride the entire length of the line, departing at the last couple of stops. 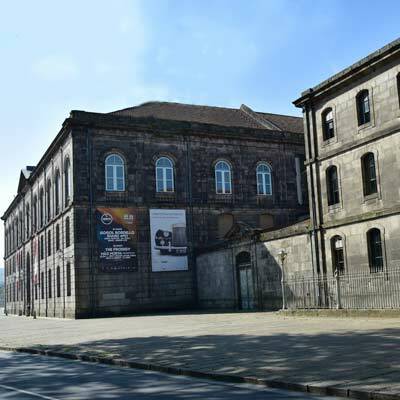 The first stop along the tram line is Alfândega, which is opposite the 150-year-old Alfândega Nova do Porto (the Old Customs House). 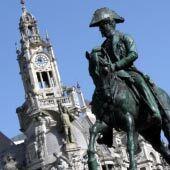 This sprawling complex has been transformed into a congress centre and houses the Museu dos Transportes e Comunicações. 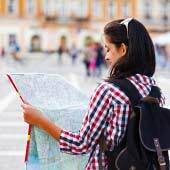 Close to Alfândega is the World of Discoveries museum (GPS: 41.14337, -8.62096), a great location for children and ideal for a wet day. High above the Alfândega tram stop is one of the better viewpoints of Porto, the Miradouro Bandeirinha da Saúde (GPS: 41.14445, -8.622143). 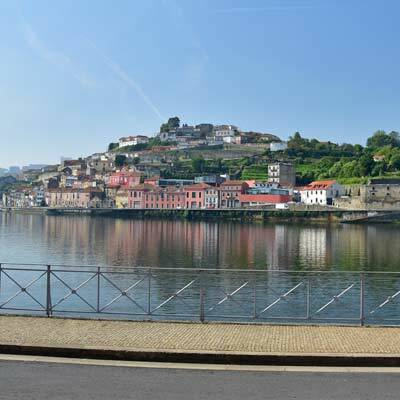 This viewpoint provides stunning views of the Douro River, but it is a steep climb from the tram stop. The Museu Vinho Porto tram stop, halts outside the Vinho Porto museum, a museum detailing the history of Port and Port production. Further up the hill is the Jardins do Palácio de Cristal, the best city park of Porto. The Museu Eléctrico tram stop is outside the tram museum (the Museu Eléctrico) and the tram depot. 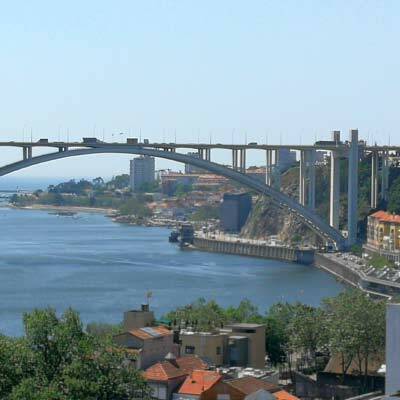 This is also the location to connect to the number 18 tram, which heads into the historic centre of Porto. 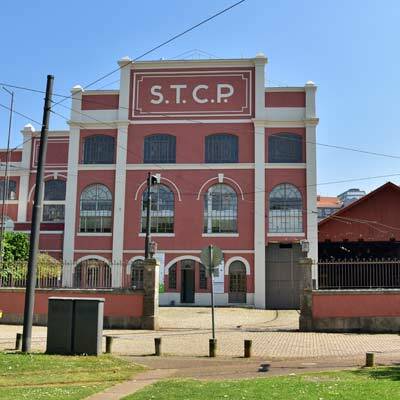 The Museu Eléctrico details the history of Porto’s trams, which were first constructed in 1895, and is an excellent, if niche, museum. A very scenic section of the tram journey, with great views of the Ponte Arrábida bridge, but very little reason for passengers to exit the tram. The Sécil stop provides great views of the river and the Ponte Arrábida, but there is no real reason to leave the tram. Gás is the tram stop for the ferry to Afurada. Afurada is on the southern side of the Douro River and is a peaceful town that has been completely untouched by tourism. 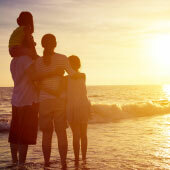 If you are after a location for an immersion into typical Portuguese daily life or are looking to escape the tourist masses, then pretty Afurada should be the destination for you. 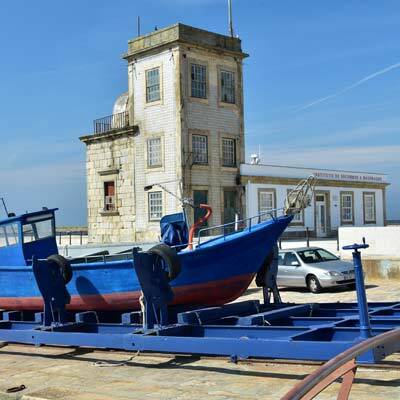 The small ferry (the Flor de Gás) departs every 15 minutes, and a return to Afurada costs € 1.50. 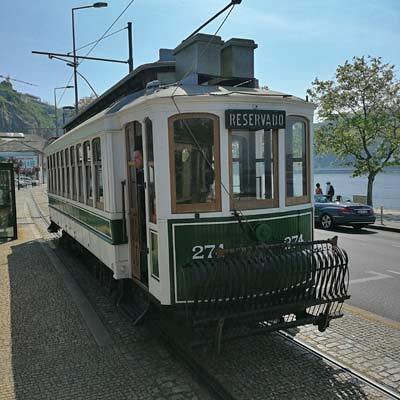 The Fluvial tram stop is at the eastern edge of the parks and open spaces that line the banks of the Foz district and continue westwards to the mouth of the Douro River. 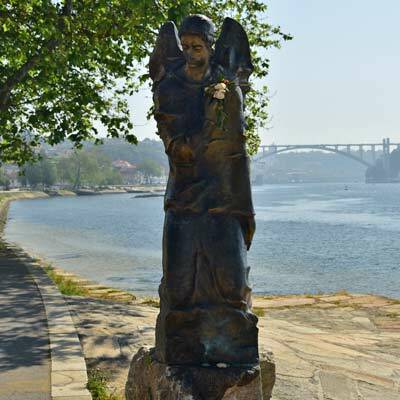 The small park next to the Fluvial tram stop is the Jardim do Cálem, and this overlooks the sandbanks and marshes of the Observatório das Aves, an area popular with feeding seabirds. The 30-minute walk from Fluvial to Passeio Alegre (final stop of tram line), along the Promenade Foz do Douro, is highly recommended. D.Leonor is another pretty tram stop, which is next to the Jardim de Sobreiras. 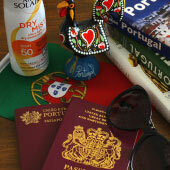 The tram stop is also close to the Promenade Foz do Douro. Cantareira is very different from all of the previous tram stops, as it halts next to a sheltered harbour and traditional fishing community. In the modern huts along the waterfront old men tend to fishnets, while in the river small fishing boats bob around in the water. 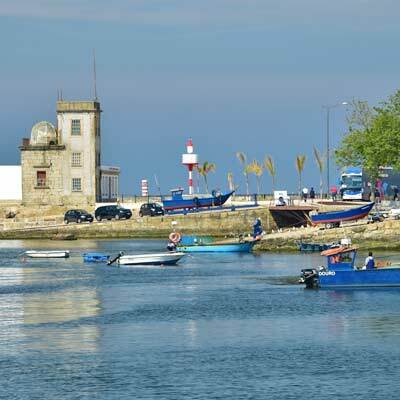 At the western end of the harbour wall is the Farol de São Miguel-o-Anjo lighthouse. This almost inconsequential building, hidden by the larger tower and surrounded by a chapel, was Europe’s first ever lighthouse, being constructed in 1538. Cantareira is the most scenic section of the Linha 1 tram and our favourite location to depart. 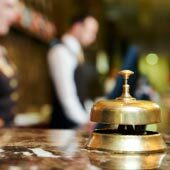 Even if you do not have much time for the tram ride, it is suggested to exit at Cantareira and then walk to Passeio Alegre, for the return tram journey. Passeio Alegre is the final stop along the Linha 1 tram route, and is on the edge of the Jardim do Passeio Alegre (GPS: 41.14772, -8.66775). The Jardim do Passeio Alegre is the finest park of the Foz district, and hidden beneath the shade of the massive trees are fountains, sculptures and ornamental ponds. For children, there is a mini golf course. 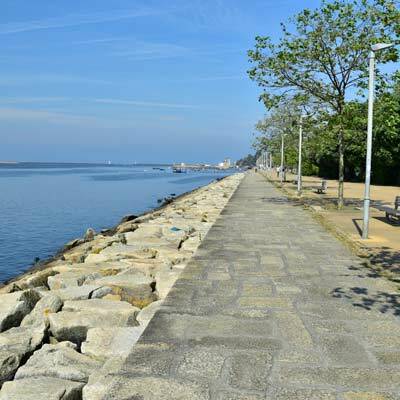 From the Passeio Alegre, it is possible to walk to the São João da Foz fort or to the Farol de Felgueiras lighthouse, which is positioned at the mouth of the Douro River. 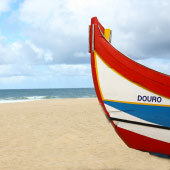 For a longer walk consider visiting the charming beachfront of Foz and the beaches of Praia do Ourigo and Praia dos Ingleses, or the Pergola of Foz.